"In this debut set in near future NYC--where lives last 300 years and the pursuit of immortality is all-consuming--Lea must choose between her estranged father and her chance to live forever. Lea Kirino is a "Lifer," which means that a roll of the genetic dice has given her the potential to live forever--if she does everything right. And Lea is an overachiever. She's a successful trader on the New York exchange--where instead of stocks, human organs are now bought and sold--she has a beautiful apartment, and a fiancé who rivals her in genetic perfection. And with the right balance of HealthTechTM, rigorous juicing, and low-impact exercise, she might never die. But Lea's perfect life is turned upside down when she spots her estranged father on a crowded sidewalk. 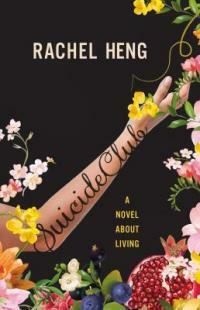 His return marks the beginning of her downfall as she is drawn into his mysterious world of the Suicide Club, a network of powerful individuals and rebels who reject society's pursuit of immortality, and instead chose to live--and die--on their own terms. In this future world, death is not only taboo; it's also highly illegal. Soon Lea is forced to choose between a sanitized immortal existence and a short, bittersweet time with a man she has never really known, but who is the only family she has left in the world." -- Provided by publisher.